Style:Standard Use this wireless IP camera to stay connected with the thingsyou love. Quick and easy setup means you can instantly create your videonetwork. Use the included software for local viewing on your computer ordownload the free mobile app to access your camera from your smartphone ortablet. In addition, the HNC3W has infrared lights to ensure a crisp pictureeven in complete darkness. 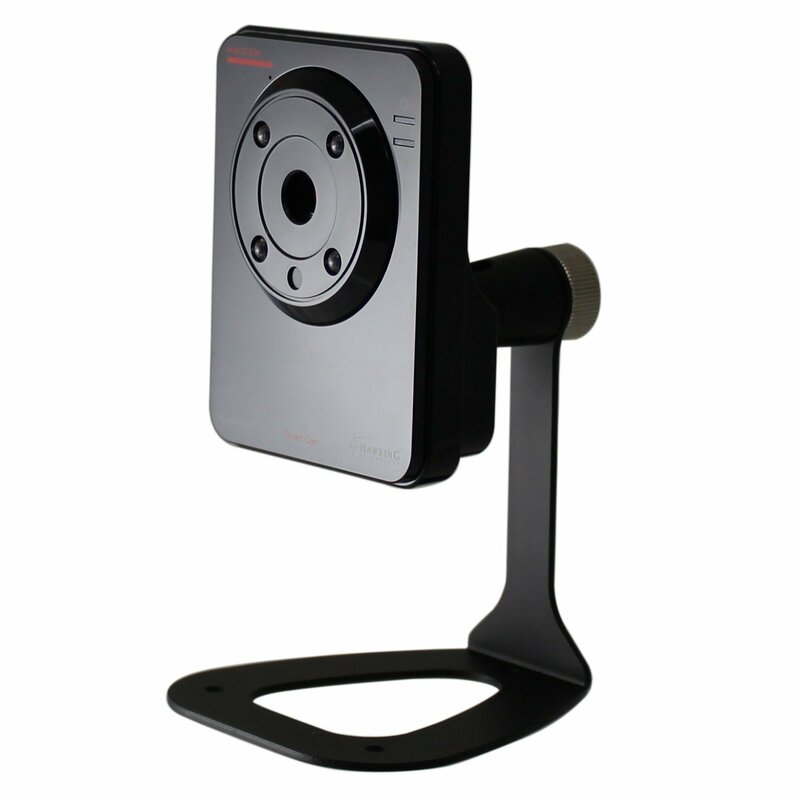 This Hawking HNC3W eliminates the typicallycomplicated setup required for most IP cameras. Simply plug the camera intoyour pre-existing LAN network via Ethernet cable, insert the included CD intoyour computer, and run the IPFinder software to find your camera. Onceconnected, you can use the camera as a wired device, or configure your camerato connect wirelessly. You'll never have to change your router settings orsign up for a third party dynamic DNS service like with previous IP cameras.It provides a quick and easy view from any computer. For users with multipleHawking cameras (model HNC3W or HNC5W), the software can capture up to 16cameras per screen. Software features include power on/off schedule, emailalerts, video recording, one-way audio, image capture, and more. In additionto the software, the HNC3W also includes a free downloadable app forsmartphone and tablet which allows remote viewing from anywhere. Use the EagleSense App for live feed from your camera. Take pictures from the live feedwith the "camera" button and access them later from your phones' photolibrary.